The monograph summarizes results of the most distinguished works of the author in the area of CAD-CAE applications of the computer aided analysis that author was working from 1995 until 2015 not only as a university teacher but also as an analyst in the technical practice for the strength analysis in the specialization Applied mechanics - Mechanics of solid and flexible bodies, in which he achieved the PhD. university degree in 2002. It describes methodology, solution procedures together with the interpretation of the results of the tasks, which were solved for the technical practice for meaningful companies, with which the author co-operated or has been co-operating till now. - Application of computing methods and computing reports. From the scientific point of view the monograph presents a guide for practical application of numeric simulation methods in the practice for the validation capability of constructions and it develops methods of interpretation of the analysis results. In case of the geometrical element method utilization it presents a new conception of the fundamental FEM algorithm from the PTC company. From the pedagogic aspect the knowledge included in the theoretical and also practical part can be applied as an aid in the educational process by the teaching of the subjects focused on the computer aided engineering and application of computing numerical simulation methods. The main contributions for the practice are creation of the procedures of the correct MKP application and the development of the appropriate algorithms for the processing and interpretation of the analysis results. The area of validation of the technical capability of the construction using the numeric simulation method within the frame of the technical specializations can be considered as one of the carrying for the development of the scientific work. In the theoretical and also in the practical part of the monograph pictures and computing solutions of the models feasibly simulated by the author that represent a result of his work during his work in the technical practice supplemented by the theory processed using the cited technical literature were used. The constructive geometry becomes to the group of fundamental theoretical subjects at the technical universities. The main task of the constructive geometry is to transform spatial objects into the plane and on the contrary from the given representation of the spatial object to create the visualization about this object. In this way the constructive geometry develops the ability of the spatial imagination, which is very important for the study of technical specializations. The content of the education of the Constructive geometry subject is focused on the handling of fundamental techniques of the transformations of the spatial objects into the plane. The acquirement of the elementary properties of the mutual relations by the objects projection and their utilization in the technical practice is also important. By the teaching of the constructive geometry the mathematical logical thinking and explanation is used on a large scale. The precision, consistence and in the resultant form of the projection of the objects also the aesthetic effect are important. Currently computing technology is widely used in all the scientific disciplines. Its quick graphical output (display, printer) by the tasks solutions helps to solve various problems of the technical practice very effectively. Knowledge and skills acquired in the educational process of the constructive geometry give assumptions for the successful accomplishment of the computing graphics in the technical practice. However it is not possible to replace the subject Constructive geometry with the Technical documentation. 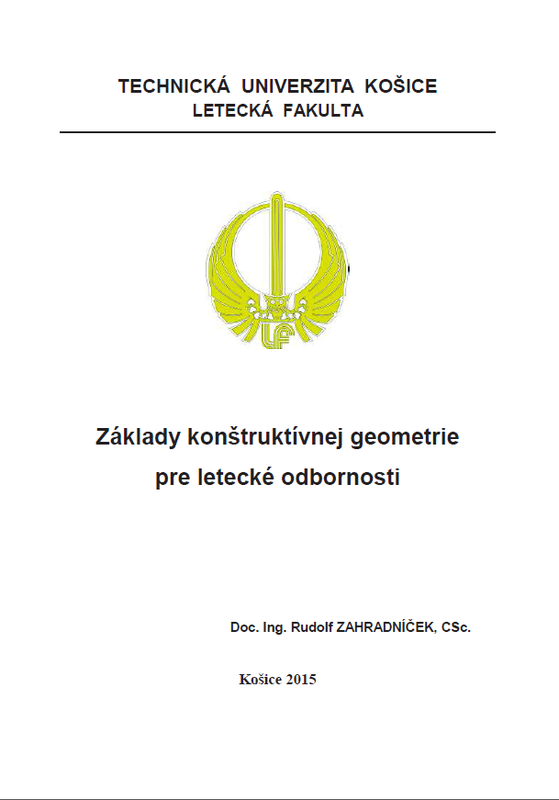 By the processing of the foundations for this schoolbook, its content, extent and form the author emanated from the current curricula of the lectures and exercises from the subject Constructive geometry at the Faculty of Aeronautics of the Technical University of Košice. He tried to make a summary presentation of the selected chapter from the introduced area, the schoolbook is presented in the packed form. The formulas are stated without the proofs but many solved examples for the practice of the fundamental knowledge are introduced. The effort was to overview minimum information which are necessary for successful handling of the aforementioned area. This schoolbook is in preference assigned for the students of the Faculty of Aeronautics of the Technical University of Košice. 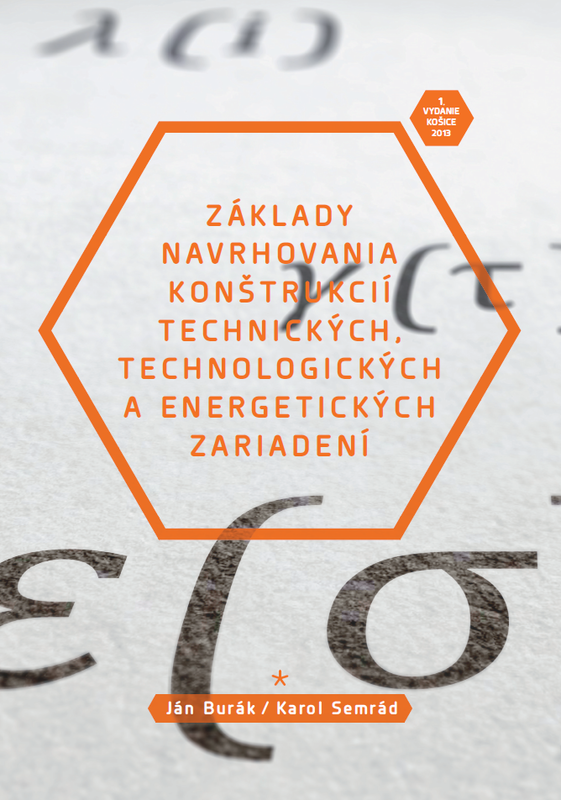 This publication is a compilation of the Slovak and foreign specialized literature dealing with the design of metal constructions. The publication is assigned for students of technical specialisations of the university study, but also for engineers working in the given area. By reason of the graphical interpretation preferring, the publication includes many taken-over images. Metal constructions, frames and so on are a part of technical, technological and power devices, including various machines and mechanisms, engineering systems and so on. Technical, technological and power devices can be standalone or can create a part of constructions and are designed with respect of their operation and its direct or indirect relation with the constructions. For the construction design of technical, technological and power devices procedures from the mechanics or strength and elasticity together with the recommendations in the standards, in combination with the strength simulations using finite element methods and in special cases, for examples by prototypes also in combination with experimental measurements are usually used. For the design of metal constructions, the substance of which relates with the procedures defined in standards concerning constructions, in the area of SR are currently valid European standards taken over into the system of the Slovak technical standards as STN EN. In the framework of the construction design of technical, technological and power devices, for the achievement of a reliable operation of the construction of these devices, general principles and projection procedures related to the safety, quality and environment are valid, therefore these procedures are in a tight relation with the safety aspects of the complex projection process.